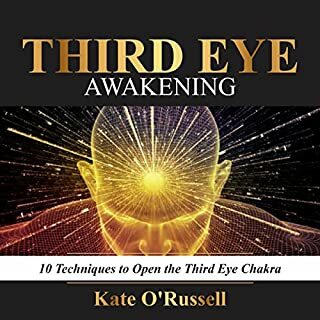 I like the book because there are techniques that the author uses to successfully activate the Third Eye, the techniques are simple and easy to do. This audiobook is filled with valuable information. I definitely feel a difference with my peace and connection with the universe after utilizing the techniques in this book! Would recommend this to anyone as well. I found this book as an indeed guide to meditation; I love on how the author discussed the topic and it was broaden my knowledge about meditation also it was well-narrated by Stephanie Murphy; her voice is very pleasing to ears. Through this book, I was able to discover powerful step by step guide to relieve stress, depression and anxiety by means of meditation. 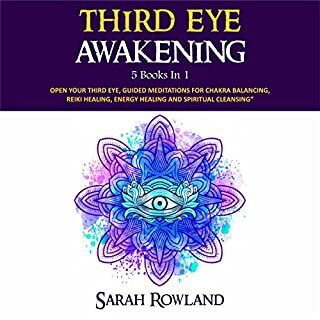 This audiobook is a complete guide to third eye awakening; it is a book bundle so it's quite expensive but it's worth my money. 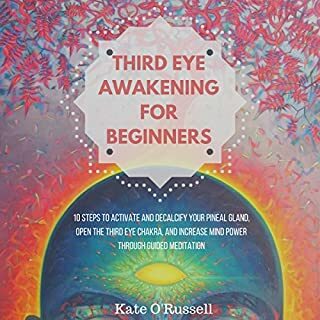 I love all the information, techniques, tips and easy to follow beginners guide to open our third eye. Overall, it was a well-bundled, well-researched and well narrated book! I love how this book gets right to the point. I love how this book gets right to the point. It provides excellent exercises and encouragement without extra unnecessary verbiage. 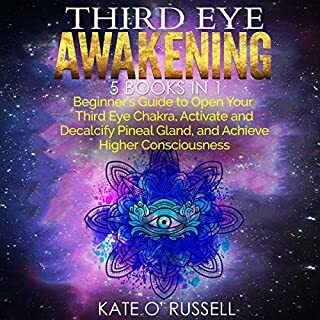 It gives concise description of several techniques on how awaken your third eye. I'm very grateful that I found this little gem and I will continue on my spiritual journey towards inner peace. I've learned a lot from this audiobook! 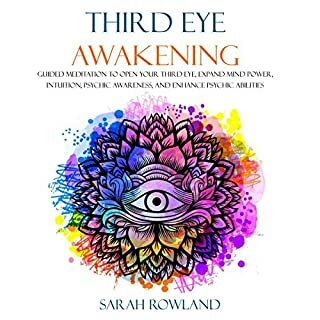 This audiobook provides a lot of information and it broadened my knowledge about third eye awakening, It's truly a great audio guide book that will educate you with everything you need to know about Third eye! very informative and easy to learn.. This audio book is very informative and easy to learn, I enjoyed listening to this book. 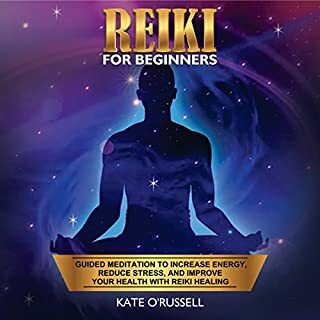 .With this book Reiki Beginner’s you will embark on an inner journey that will take you back to the state of peace, joy and happiness you were born to inhabit. From the outside Reiki can seem like an esoteric, mystical endeavor exclusively reserved to monks and spiritual adepts. This could not be further from the truth. Reiki is not only accessible to anyone, it is easy to learn if you have the right mindset and the benefits are only a few minutes away. 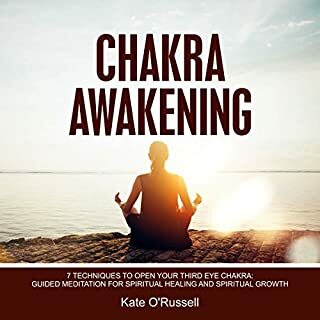 I have finished listenign to this audio book &quot;Chakra Awakening: 7 Techniques to Open Your Third Eye Chakra : Guided Meditation for Spiritual Healing and Spiritual Growth y Kate O' Russell&quot;. I must say that it is one of my favorite audio books I have listened on the subject. Thank you so much to this audio book! I HIGHLY recommend this book to anyone looking for an excellent audio book to listen to and which is worth your money, whether new to the subject or Advanced on their Path! Learn ways on how to open your third eye chakra! 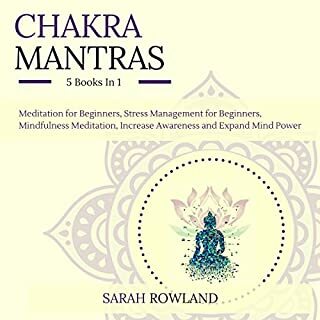 This audio book is a guide to chakras for beginners that focus on third eye awakening, in particular, exploring how you can detect and remove blocks to your third eye chakra. 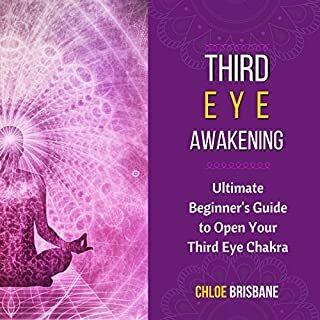 In a way, learning how to do third eye chakra exercises prepares you for more complex chakra healing in the future and this audio book will help you with that because this was contains guided meditations for you to try with! Through this audiobook. 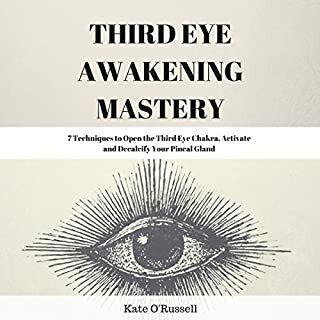 I have gained a significant amount of knowledge about the third eye and various guaranteed techniques to open and close it when needed. This audiobook has cleared all my concepts and have left me completely satisfied. It was full of rich and detailed information which I enjoyed. The price is really well, so you aren't going to be spending a fortune on a great audiobook like this one. Would definitely recommend this!